Our partnership with outstanding meat and poultry suppliers allows Dave's to provide our customers with the largest variety of fresh meats in town. 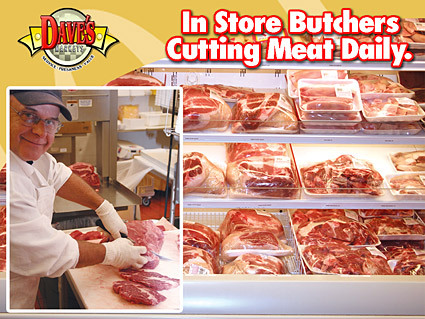 Dave's in-store butchers cut meat fresh throughout the day. They are happy to take customer requests and provide detailed information on specialty products. We carry only USDA Choice beef or higher, Grade A chicken, and all natural pork with no preservatives. At Dave's, we've built our reputation on the freshest meats in town! 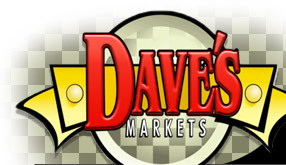 Showcasing a large variety of tasty treasures, the Dave's Deli is a lively place to find everything from healthful salads and freshly roasted chicken to a delicious selection of meats and cheeses. 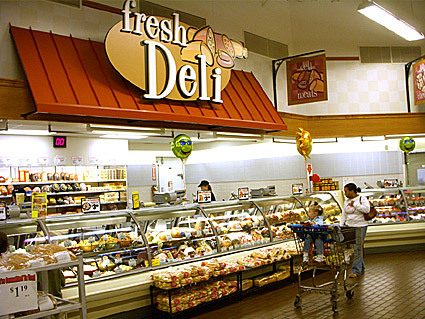 Stocking both favorite national and local brands, Dave's is your best choice for all of your deli needs. We custom slice all your deli meats. 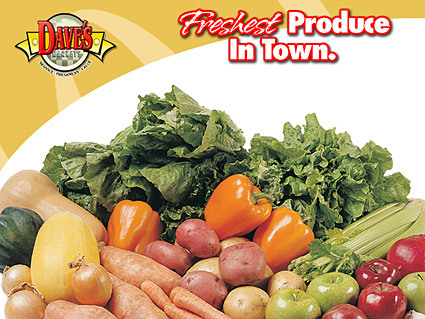 Freshness, quality, value and above all, great customer service are what you will find everyday at Dave's. Bountiful bins overflowing with the freshest fruits and vegetables in town. There is a large variety of the regular items like apples available along with seasonal, exotic, and specialty produce too. Dave's purchases produce from small family run farms, like Bauman Orchards in Rittman, Ohio. We work closely with these growers to provide Dave's customers some of the freshest vegetables and the sweetest fruits in Ohio. We are also committed to offering you a variety of organically grown produce. What can remind you more of hearth and home than the smell of fresh baked cookies or breads? 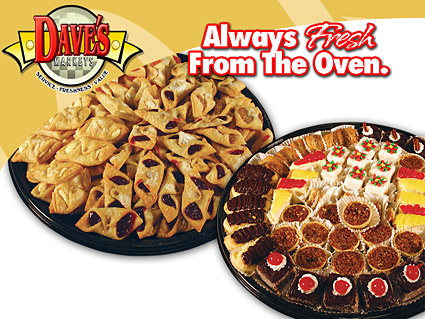 Whatever the occasion, Dave's Markets bakeries can make it sweeter. From pies to special occasion beautiful custom decorated cakes for any event. Treat your family or guests to our fresh baked breads, tasty confections and scrumptious desserts. From hearty bagels for breakfast or brunch or fresh made donuts, to our signature Italian or French bread, you'll find everything you need to please every guest's appetite and we bake it fresh all day everyday right in the store! Sure there are plenty of fish in the sea, but not all of them are good enough for the Dave's customers. We're very picky about our seafood because we know you want the best. So, you can depend on us for interesting selection from chilled shrimp and wild fish to creamy seafood salads and crab clays. 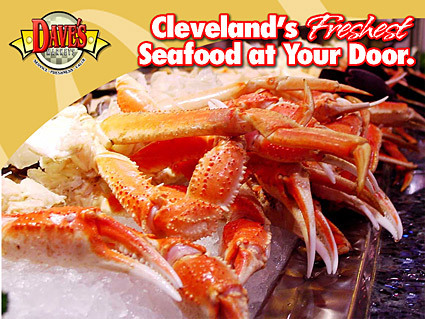 Our fish arrives daily so you can always expect the catch of the day at Dave's. At Dave's Pharmacy, you can always count on us to deliver our best. 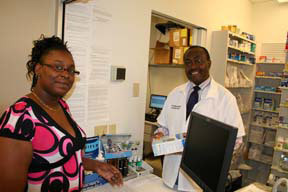 Surpassing your expectations through our helpful and knowledgeable pharmacy associates; the quality products we offer; and the value-added customer service that we know will keep you coming back. Dave’s Supermarket, Inc. is pleased to partner with Neighborhood Family Practice (NFP) to offer pharmacy services at our Dave’s Mercado location. The pharmacy is open to the public and accepts most insurance plans including Medicaid, Medicare Part D and most commercial insurances. Dave's Markets always stays up-to-date with the latest food safety precautions and procedures to ensure that our foods are of the utmost quality because at Dave's, we're committed to you!